Sailors who join Bolivia's navy don't see much of the world. 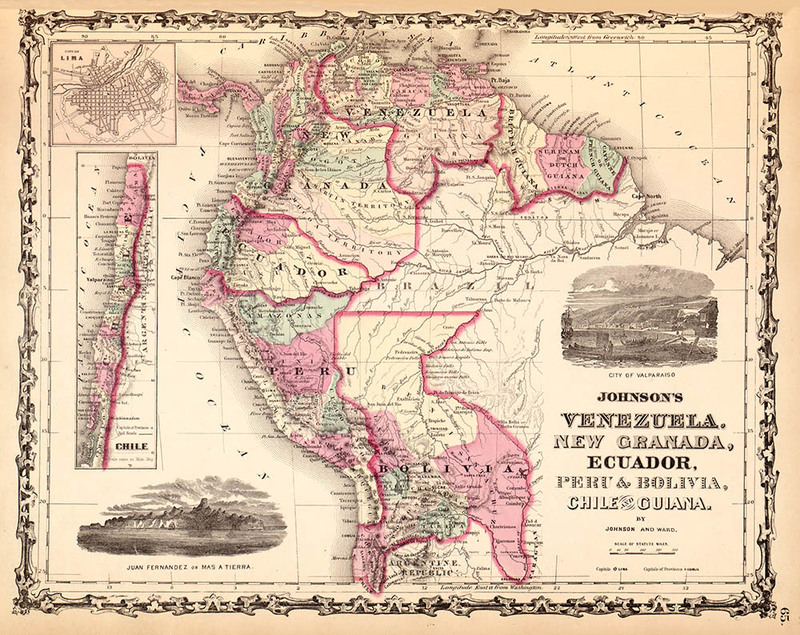 They've been land locked by the Andes mountains of South America for the past 125 years. 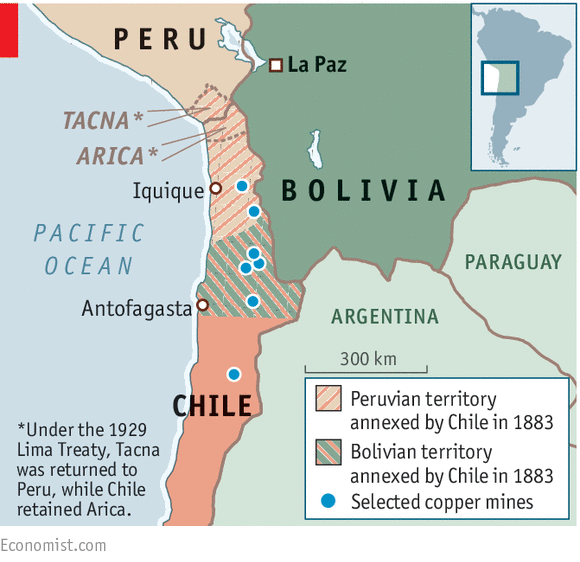 That's when Bolivia went to war with neighbouring Chile and lost access to the Pacific Ocean. That’s because this landlocked country doesn’t have access to one. 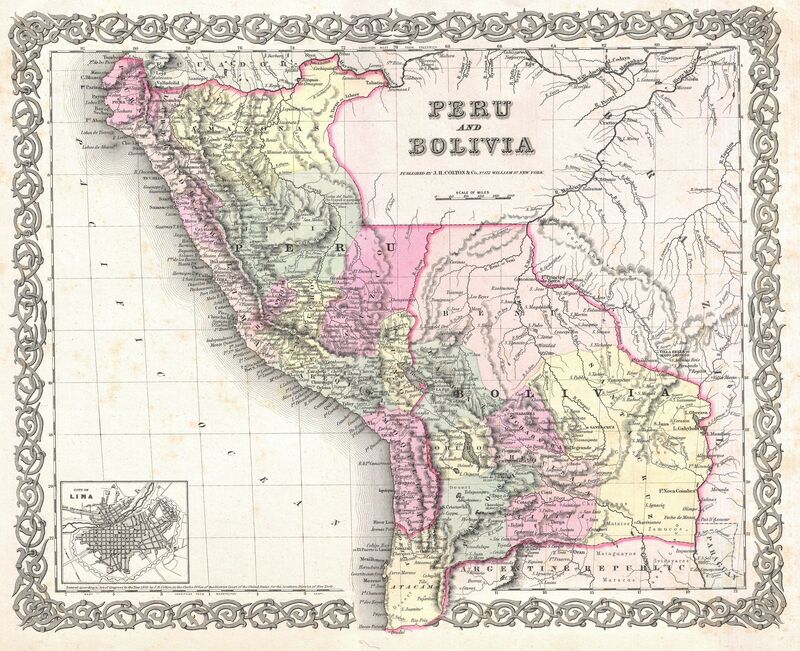 At least, not anymore: During the War of the Pacific, a land fight with Chile that lasted from 1879 to 1883, Bolivia ceded all 250 miles of its coastline. It's a devastating loss; officials still describe it as a "historical injustice," and Bolivians mark the official Day of the Sea each March. In fact, the country never stopped trying to get its shoreline back, arguing that lack of direct access to the sea has hurt Bolivia's economy. The country can use Chilean ports, through which it sends two-thirds of its trade, but that’s little consolation when it used to have its own. In 2013, the government brought its grievance to the International Court of Justice, hoping the Hague will order Chile—with whom it broke full diplomatic relations 40 years ago—to negotiate. Simply by existing, the navy is the physical embodiment of Bolivia’s refusal to give up. The government established the Armada Boliviana in 1963, acquiring four US patrol boats. Today its humble fleet includes speedboats, tankers and other vessels, some cast-offs from China. “The fleet they keep is bruised and battered, and they’d be the first to admit they could probably do with some newer craft,” Ballon says. Lake Titicaca is a 3,200-square-mile body of water that straddles Bolivia's western border with Peru. It's the biggest lake in South America by water volume. The Strait of Tiquina, pictured here, connects the lower and upper portions of the lake. But they’re more than just the military equivalent of those garage-sale skis you’ll never use. The navy’s 5,000 troops navigate water wherever they can, sailing the country’s Amazonian rivers and Lake Titicaca, a 3,200-square-mile body of water more than two miles above sea level where Jacques Cousteau once scubaed for Inca treasure. And its work is important: It fights drug traffickers, delivers medical supplies to remote communities and responds to disasters. Troops even joined one UN peacekeeping mission in Haiti. Ballon became intrigued by Bolivia’s relationship with water after the Cochabamba Water War of 2000. 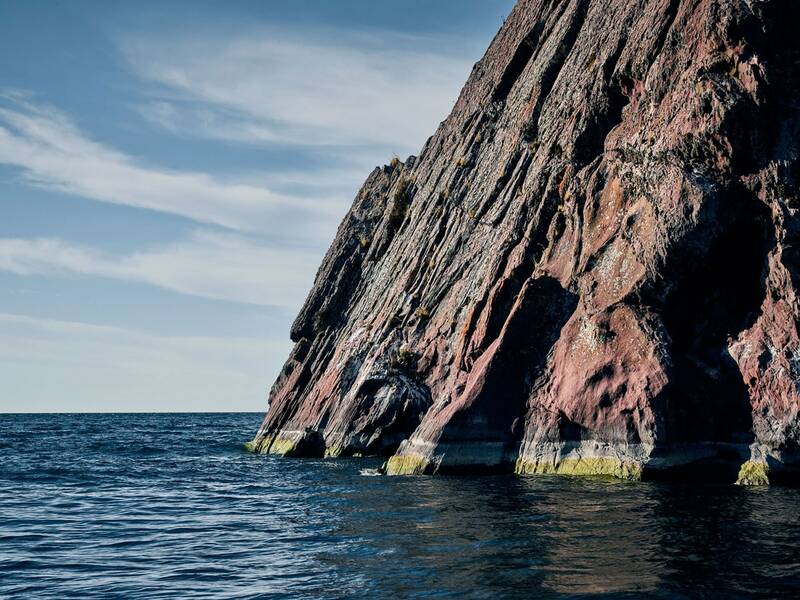 His father is Bolivian and lived there, so he began visiting several times a year to work on a long-term project called The Bitter Sea. “Photography was my door to the country," he says, "which led to a deeper understanding of its people and land." In October 2016, after a full year of petitioning access, he and his assistant took a four-hour minivan shuttle from La Paz through the arid central Andes to San Pedro de Tiquina. There, a white-uniformed captain handed them life jackets before steering them 20 minutes up a narrow strait to to the Tiquina Naval Base on frigid Lake Titicaca. A statue of Bolivian war hero Eduardo Albaroa—whose last words “Surrender? Ballon embedded at the base for a full week, spending most his time documenting teenage female recruits undergoing a 13-week tactical course at a high-altitude diving training center. Their mornings began bright and early with intense physical training and a grueling swim class in an unheated swimming pool, followed by classes on scuba theory. But to Ballon, the most fascinating element was the preparations for the base’s 48th anniversary celebration: engineers spent days polishing up the boats and tying ropes into ornate, seaworthy knots. Hundreds of troops in blue naval uniforms and white caps marched day and night to songs like “We Will Recover Our Sea." “It was incessant,” Ballon says. His images, beautifully photographed with a medium format camera, capture the recruits swimming, floating, and practicing their maneuvers against a marine backdrop so enormous that on hazy days it almost looks like a sea. One day, they hope, it will be. GeoGarage blog : Bolivia's access to the sea : beaches of the future ?